Ever since I experienced the 904 Porsche, with its mid-engine layout, I was convinced that this was the right formula for a sports car. Since then I have experienced so many mid-engined coupés that I am more than satisfied that my first impressions were correct. This does not pre-suppose that putting the engine in the mid-position automatically makes a perfect sports car, for I have driven mid-engined cars that have been pretty awful, due to having all the wrong weight-distribution or the wrong suspension geometry, but if the layout is done correctly then the end result is the nearest thing to a racing car and the ultimate, as we know it at present, in ride, handling and stability. The highest point in my road-going mid-engine experience must still be the Ford GT40, but this was a pure racing car adapted for road use and not practical for everyday long-duration use, but the ultimate road car for sheer pleasure. Very high on the list and the nearest thing to the ideal mid-engined road-going coupé was the experimental Rover BS6, which Lord Stokes seems to have killed, thus depriving the British Industry of a chance to show that it can make cars as good as anyone. 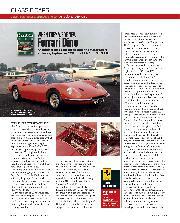 In all my mid-engine enthusiasm there was one serious gap of experience, and that was the Dino Ferrari. 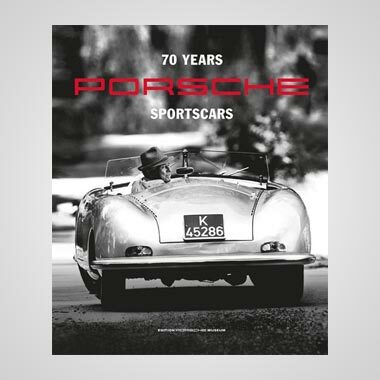 I watched the development of this car from the first racing models, through the first production racing models, to the completely revised road-going production models, and saw it gradually grow up and mature into a very sophisticated sports car. 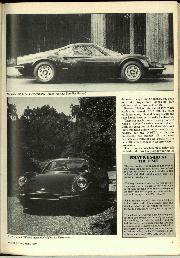 I watched Italian owners suffering the pangs of growth with the early models, in the days when it was the thing to do to sidle up to the owner of a Dino Ferrari as he was about to drink his coffee and innocently enquire "How's the Dino?" Nine times out of ten he would spill his coffee as he hastily snapped "Why?" 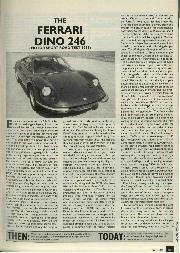 Early Dino owners were very touchy about the fact that they had paid an awful lot of money for a car that was still having teething troubles. Those days are long since past, and the Dino owner today cannot wait to tell you what a wonderful car it is, yet I was never able to get first-hand knowledge for one of those strange reasons that afterwards seem quite illogical. I suppose I was never in the right place at the right time, but at last this gap in my mid-engined experience has been filled, thanks to Maranello Concessionaires of Egham, Surrey, who look after Ferrari imports. Without reservation it has gone down in my special list of the unbelievable, along with the GT40, the Rover BS6 and the Mercedes-Benz C111, but the outstanding thing is that the Dino Ferrari is a production car, even to the point of being available with right-hand steering for the insular English, whereas the others were one-off models and racing cars. 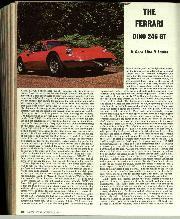 Before we get too carried away it should be noted that I am talking about the FERRARI Dino, not the FIAT Dino, for the Fiat car is an orthodox front-engined two-seater roadster or coupé, which is pleasant in many ways but not an outstanding motor car. It uses a similar 2.4-litre V6 four-overhead camshaft engine and various bits and pieces in common with the Ferrari version, such as the light-alloy wheels, but the two cars are as different as Lotus and Cooper used to be. Ferrari's "little jewel", for that is how the Dino has been described, is a very sleek and smooth two-seater coupé, the steel-panelled body being to the design of Pininfarina, and it must surely be one of the best designs to come from that firm. It is built by Scaglietti in Modena and mounted on a square-section tube chassis frame, with independent suspension to all four wheels by wishbones and coil-spring/damper units. The 65-degree V6 engine, of bore and stroke 92.5 x 60 mm.—2,418 c.c., is mounted just ahead of the rear wheels and in an east-to-west direction, or transversely as it is called. The 5-speed gearbox is integral with the sump and driven by a transfer gear train on the left, the primary gear on this train being in line with the crankshaft and after the clutch. A spur gear from the gearbox drives the differential unit and jointed drive-shafts run out to each rear wheel. This results in a remarkably compact power unit taking up very little space, so that there is a large luggage boot in the tail of the car without unnecessary overhang. The four overhead camshafts are driven by chains from the "front" of the crankshaft, which is of course on the right side of the car, and in the vee of the engine are three Weber 40DCF carburetters fed by an air box which gathers air from a large filter which in turn is fed by an air duct just behind the left-side door. The V6-cylinder block is in cast iron, all other parts being in alloy, and a duct by the right-side door feeds cooling air onto the ignition system. The front three exhaust pipes wiggle down under the engine unit to join the rear three exhaust pipes, and there are four pipes protruding from under the tail of the car. The 2.4-litre engine revs to 7,600 r.p.m. for a power output of 195 DIN horsepower, and it does this on a 9-to-1 compression ratio. It will run to 8,000 r.p.m., and all the best journalistic road-testers seem to get 8,000 r.p.m. in 5th gear, which is a theoretical 151 m.p.h. I found that the r.p.m. instrument was so badly sited, having been put in position by a stylist, that the needle disappeared from view at about 7,400 r.p.m., and by leaning forward I could just see it nudging 7,500 r.p.m. in 5th gear. Without doing a timed run through electric clocks you cannot really quote a true maximum for a car like the Dino, but it will no doubt do an honest 145 m.p.h. under favourable conditions, and I would expect it to record about 142 m.p.h. for a two-way run through the traps at the Elvington Speed Festival. The fuel tank is on the left side of the car, to the rear of the door, and in the nose of the car there is the spare wheel and tools with the radiator right at the front, the temperature being controlled by two electric fans operated thermostatically. Unlike some mid-engined coupés the Dino Ferrari presents no problem of entry or egress, the doors being wide and the opening unobstructed. The bucket seats look first class, but are in fact about the only weak point of the car, for they are very well shaped if you happen to be built to that shape, but tend to be too small for large drivers, which is a pity, for the fore and aft adjustment is so good that there is adequate room for all sizes, from 5 ft. 2 in. midgets to 6 ft. 4 in. giants. My main criticism of the seats is the fact that it is not possible to alter the angle of the back of the seat, a very necessary adjustment on any car that is going to be used for serious motoring. Of the driving position itself and the visibility there is no criticism at all, and the rear and rear-three-quarter views are excellent, thanks to a low line on the engine compartment cover and a very clever rear window that is curved at its ends to flow into the body sides. Not only does this rear treatment look good but it is remarkably effective in providing all-round vision, and at no time during using the Dino was there any embarrassment with rearward vision. A disappointment was the very ineffectual layout of the instruments, as they appear to have been put in place by a stylist and not a motorist, for with an engine like the Dino V6 the r.p.m. 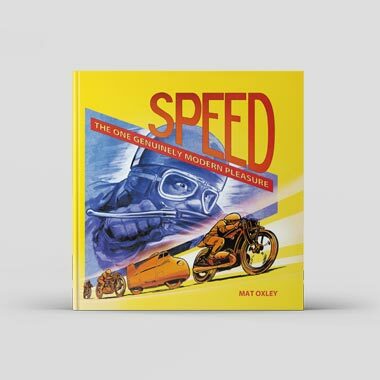 indicator is all-important, not because you have to keep it buzzing all the time like a 911S Porsche, but because it revs so freely and the car has such superb gear ratios that the needle rushes up into the red sector on the tachometer incredibly easily. A car like this needs a large clear tachometer in the centre of the panel in front of the driver and other instruments should be secondary, as on a 911S Porsche; the Dino has matching speedo. and rev.-counter laid out to make things look pretty. The three-spoke dished steering wheel is nicely tucked away out of the line of vision and the long central gear-lever operates in a functional and clear gate, the five forward ratios being beautifully spaced so that as you accelerate hard through all the gears the music of the V6 engine seems to remain constant at all times. Considering that the engine is just behind your head the noise level is very low indeed and you can converse quite normally at 100 m.p.h. and with all the windows shut there is no noticeable wind noise. The shape of the Dino was evolved in the wind-tunnel at the Turin Polytechnic Institute and the results would appear to be very satisfactory on three counts, the aforementioned low wind noise, the fact that a day of 100-m.p.h.-plus motoring left very few dead flies on the nose, and the remarkable way the car maintains high speed if you lift off and snick into neutral. The gear gate is laid out with 1st and reverse on the left, 2nd and 3rd in the centre, and 4th and 5th on the right, the gate being typical Ferrari, leaving no question of doubt as to which gear you are in or where the next one is. The lever has quite a long and deliberate movement, not terribly quick, but a real joy to use, and even though the 2.4-litre engine pulls cleanly from tick-over right through the rev.-range, you tend to keep the engine revving for the sheer pleasure of using the gearbox and listening to the dynamo-like music behind you. The gear-lever is spring loaded into the centre of the gate so that it automatically lies opposite the 2nd and 3rd ratios and with the right-hand driving position you push it away and back for 1st and pull it towards you against the spring for 4th, forwards, and 5th backwards. 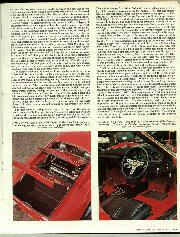 This makes changes from 4th to 3rd under heavy braking a real driver's joy of heel-and-toe movement on the pedals. The rack-and-pinion steering gear make the steering just about perfect at any speed, particularly up at the top end of the performance, while the suspension is absolutely in character with the performance as well. In towns the ride seems a little harsh, but once over about 50 m.p.h. it really starts to work, and the faster you go the more impressive becomes the ride and stability, so that 130 m.p.h. comes up on any reasonable stretch of road and 100 m.p.h. is an effortless amble. The way the wheels stay on the road is truly impressive and to change direction through an 80-m.p.h. ess-bend over camber changes at the same time makes you purr with satisfaction and say to yourself, "Marvellous, why can't all cars handle like this?" In road motoring at any sort of pace the ride and stability result in a very "flat" feeling and you think there is no roll, but a few laps of the Thruxton circuit, admittedly on road tyres and road tyre pressures, produced quite a lot of roll on corners and made me realise that this Dino was a standard road-going production model, superb in its role as an everyday sports car, but not a racing car. 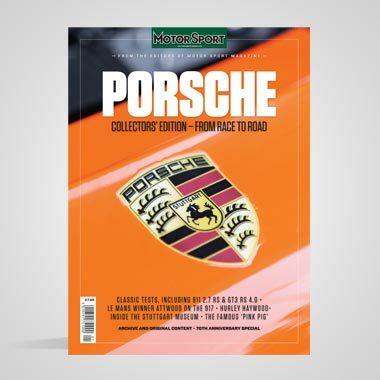 At the 1,000-kilometre race at the Nurburgring last May there was a production Dino trying to compete against fully-race-prepared 911 Porsches and it was pathetic, but as a road car compared to a production 911S Porsche, the boot is on the other foot and the Dino is supreme. 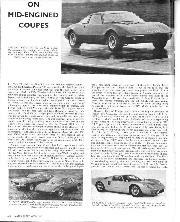 Of all the mid-engined cars of which I have had experience the Dino stands head and shoulders above the rest, with the exception of the GT40 Ford, which was a pure racing car, and the BS6 Rover V8, which was an experimental one-off, remarkable for producing brilliant results from unsophisticated components. While I had the Dino on loan people were continually asking me what it was like, and the simplest answer was to ask the questioner what he or she thought the Dino looked like. The reply was invariably "It looks marvellous", or beautiful, or fabulous, or any other popular adjective, to which my simple reply was "That's how it goes". After discussing the car at great length with a friend he remarked that if my only two criticisms were the position of the tachometer and the lack of an adjustment to the seat back, it must be a very impressive car. He was absolutely right, it is a very impressive car. If you have never driven a good mid-engined car then you cannot start to really appreciate the handling, the ride, the stability and the feel that such a car imparts, but once you have experienced it it makes all front-engined or rear-engined cars obsolete. 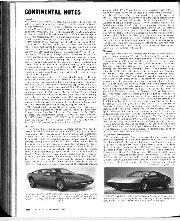 As a production car selling in England for £5,252 it must be the ultimate sports car.—D. S. J.